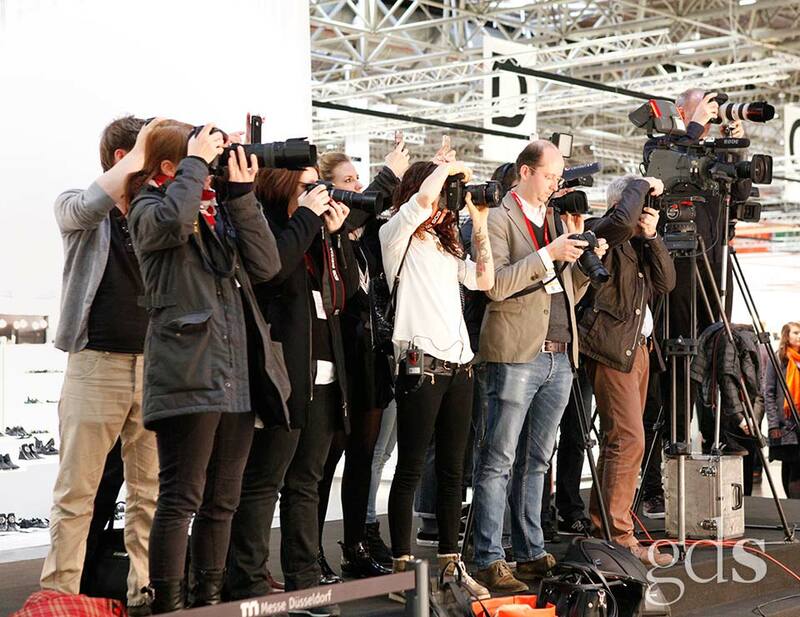 We have supported the GDS PR Department since 2011 by organising and anchoring its pre-tradeshow press conferences and by supporting media-related campaigns throughout GDS. When the GDS format was relaunched, we created a Press Walk on the very first day of the tradeshow where GDS highlights are presented to journalists in a condensed form. We write to all GDS exhibitors and advise any companies that are interested. Those companies then apply to take part in the GDS Press Walk. They submit their PR ideas to us, and only the best campaigns are eventually presented. The première of the Press Walk attracted over 60 journalists (TV, printed media and radio) from different countries, featuring eight different stands in all. To make sure that fashion editors and stylists get the most out of GDS, we set up a new service to help them find their bearings at the exhibition centre – the GDS Sample Map. We ask nearly all the exhibitors for details of the available sizes that are required for the models in different photographic productions. All the stands where this PR service is on offer are highlighted on the map.